Driver Mobile Software INCLUDED with any of our platforms. Bridge the communication gap between dispatcher and drivers by using our mobile app. You can stay connected with the drivers and their location. Specifically developed with the dispatcher in mind to increase communication between them and increase productivity. Managing drivers has never been easier. 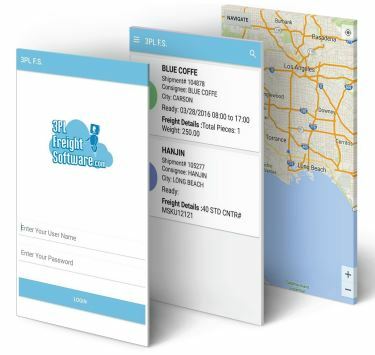 Our Driver Mobile Software is fully integrated with 3PL Trucking Software and 3PL Intermodal Software and ready to capture POD's, customer signatures and more.